The world is a violent place. And it is a wondrous place. Still. We live in this tension daily and the challenge is how we respond to suffering and still give daily thanks for such an amazingly graced place to call home. 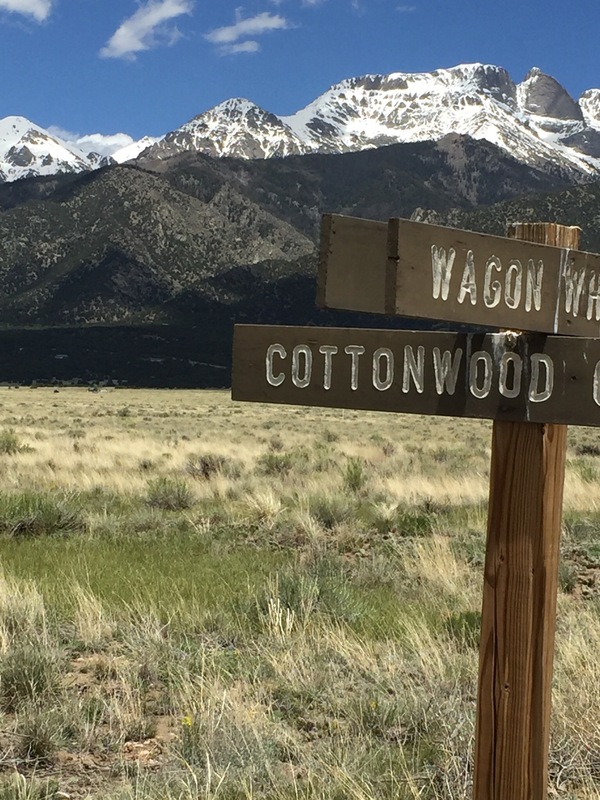 This past weekend we were in Crestone, truly a village. A population of 127 in southwest Colorado—a post mining region. The mosquitos were out en masse and the jokes in the local paper said that if you weren’t paying attention, you could be borne away on a cloud of these bloodthirsty suckers. Tall tales abounded about the mosquito invasion. They weren’t kidding. It was serious. One didn’t leave home unarmed with DEET, which I abhor applying to my body. The sweet smell, masking the poison, never fails to turn my stomach. Three days later we are visiting the Oriental Land Trust, on our way up the steep incline to the caved-in iron ore mine turned bat sanctuary. Here 250,000 Brazilian free-tailed bats migrate every summer. The locals say they can watch the mosquitos reduce before their very eyes. They can tell whether the bats have migrated to full capacity by the mosquitos or lack there of. After 60% of them have returned the mosquitos and a bugginess in general has receded noticeably. At 100%, humans and animals can take back the night, free of these tiny beasts. It was remarkable to me that this cave—one mountain over from Crestone, could be so clear and free. Like a de-mined swath of land, human and creature alike could return to a semblance of sanity and normalcy. And this bat cave was adjacent to a warm spring where lots of skin was showing all summer long! Some remarkable factoids that I learned about bats which I already have a bias of fascination for, along with all pollinators, was that a colony of a quarter of a million can consume a Hummer vehicle worth of 2-3 tons of airborne pests a night. They can fly as far as 50 miles in pursuit of bugs and up to 10,000 feet. They navigate completely by echo detection or sonar. Every night around 8:55pm they leave their cave. This group is a bachelor pad, all males. As the bats soared out like a bat river at precisely 5 minutes til the hour, it was beyond amazing to stand in this batwind. A silent explosion of wings and tiny papery black bodies into the night. It went on for an eternity, continuing even as they were no longer visible to the naked eye. Watch out StellaLuna, here comes your tribe! As we gingerly hike back down the steep grade, our headlamps glowing, I am grateful for the invisible, silent shield of bats that have our backs in the valley, and all over this planet. A nontoxic pest solution. Better than a fleet of low flying airplanes or trucks spraying cancer causing chemicals. Sadly, like bees, bats are in trouble. For them it’s the fungal white nose scourge, killing them. Like bees they create an invisible forecefield of health around us—whether pest control or pollination —-unnoticed until they are in trouble. Unfortunately we still eradicate bats and bees like “pests” rather than building a bat house and putting out the welcome mat. We’d rather poison ourselves as humans than deal with the “mess” of living with such brilliant creature in our midst. And I have to admit,that bat bachelor pad was emitting some stinky guano smells.No housekeeper there. May we all become fascinated before it’s too late, and safeguard all pollinator’s habitat and these tiny but mightily important lives. Besides, they are quite adorable don’t you think? One more week to support this “swarmfunding’ work of Think Like A Bee for the Month of July! Deposit a gift here to enter a “bee basket” grand prize drawing July 31. We are a tax exempt organization committed to advocacy and education. Your article brings back wonderful memories of childhood. My wife Rodene and I were born and raised on farms in the San Luis Valley of the 1940s and 1950s. Crestone and the adjacent Valley View hot springs were magical places to experience nature and the exhilaration of climbing to the summit of one of the nearby 14ers. In in spite of pesky mosquitos, there were the mysterious bats living at the Orient Mine and the glowing fire flies that made dusk at Valley View an even more amazing place. We are delighted that the Great Sand Dunes National Park and Preserve became a reality several years ago. We are also pleased to learn about the Oriental Land Trust and the work going on at the Everson Ranch aimed at preserving this beautiful land and its precious water. where the soul is pleased to gaze upon the bounty of the earth. and bring peace and perspective to these troubled times. celebrating the web of life. I have not met anyone who lived in the valley before 1980. It is a pleasure to hear of your stories. Such a childhood is becoming a rarity. What treasures! It was a magical place even back then! May it continue to be so for all who dwell there on the land…Thank you for your beautiful prayer and blessing. And thank you for reading on about bats, bees and all things pollinators and insects!